Posted 6:01 pm by Al Broberg & filed under Blog. Posted 5:19 pm by Al Broberg & filed under Blog. The English auction house, Christie’s, is celebrating its 250th year in business. As the interesting article in Rapaport’s December issue reports, the auction house was started by a Scot, James Christie, born in Perth, Scotland in 1730. Christie went to London in 1750 and found work with a Covent Garden auctioneer, from whom he learned the trade. He held his first auction under the name of Christie’s on December 7, 1766, and included among the lots sold was a ruby and diamond buckle. So jewelry has been among the prominent items sold at Christie’s since the very beginning. Christie’s first ever all jewelry auction was held February 18, 1772. James Christie died in 1803 and the firm was taken over by his son, also James, who was in turn succeeded by his son George Henry Christie in 1831. In 1889, the great grandson of the founder retired as the last member of the family to work at the auction house, although the name remains to this day. Over the years, Christie’s has auctioned some of the world’s largest and most famous diamonds (and other gems as well); the jewelry collections of royalty, the famous and wealthy, and the world’s most famous designers. 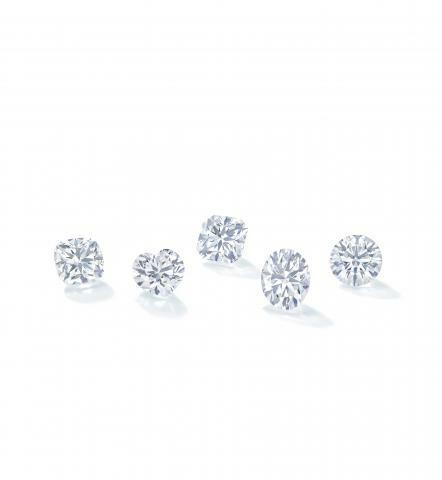 Among the famous diamonds sold at Christie’s auctions are the Wittlesbach, the Archduke Joseph, the Emporer Maximilan, the Oppenheimer Blue, the original diamond ring of Mary, Queen of Scots and the Elizabeth Taylor Diamond. Christie’s has sold the jewelry collections of Queen Charlotte, wife of King George III, Empress Eugenie, wife of Napolean III, the wives of Aga Khan, the Duchess of Windsor, Princess Margaret, Elizabeth Taylor as well as many wealthy socialites whose names are less familiar. They have sold the world’s most famous designers including Cartier, Van Cleef & Arpels, Tiffany, Schlumberger, Bulgari and more. Christie’s first expanded overseas in 1958, opening an office in Rome. Today, they hold auctions in Geneva, Hong Kong, New York and Dubai as well as in London. Along with Sotheby’s, Christie’s is the preferred venue for the sale of great collections and estates as well as for the fabulous and colossal new diamonds just coming on the market. This is a great company with a long, rich tradition that is still going strong after 250 years and appears to have a great future ahead.